While both these Password managers are excellent, with a host of decent features, Dashlane just pips LastPass by our reckoning. Dashlane is the more expensive of the two though, so if your decision is driven mainly by your wallet, you might want to consider LastPass instead. How did we arrive at this conclusion? We’ve rigorously tested Lastpass and Dashlane, pitting them against each other, as well as other popular password managers. We’ve tested them for their features, interface and ease of use, among other things, so we really know what makes a good password manager. Let’s state for the record – either of these password managers is a smarter choice than trying to remember all your own passwords. But, we feel Dashlane is superior overall. Dashlane makes it easier to chance multiple passwords at once, and offers better support than LastPass. If you’re rather see all the password managers we’ve tested side-by-side, then be our guest, and check out our comprehensive chart to find the best password manager for you. LastPass or Dashlane - Which is Best? Verdict: LastPass or Dashlane - Which is Best? LastPass Vs Dashlane – Which is Best? There are many reasons to choose a password manager – whether it’s keeping track of multiple passwords across various sites, generating more robust logins, or unifying login details for all your devices. There are plenty of brands out there, but with something as vital as your online security, it’s worth choosing the best. Either LastPass or Dashlane will free up your time trying to remember if your password for Facebook started with a capital letter or a number. Plus, you can say goodbye to the nagging worry that you really shouldn’t be re-using that same login on 10 different sites. That’s got to be worth a few bucks a month. In the past, Dashlane felt like ‘just another password manager’. But, multiple updates in recent years have seen it propelled to being one of the best out there, and we’d argue it’s now a superior product to LastPass. Dashlane is a great tool for making sure that your passwords are strong and unlikely to be broken. If you put any pre-existing ones in that it thinks aren’t up to scratch, it will let you know, and suggest better ones in their place. Dashlane will also spot if you’re using the same password across multiple sites (a big no-no) and make alternative recommendations. Dashlane will also allow you to change numerous passwords at once. Another neat feature is Dashlane’s emergency contact option, which will give nominated family or friends access to your password database on request, be it everything or just selected logins. Dashlane Premium, which lets you use the service across multiple device, is notably more expensive than the LastPass subscription, with an annual fee of $120, compared to $28, but it does include VIP customer support, which features a chat option, something absent from LastPass. Verdict: An essential tool for making your passwords stronger and removing the need to remember passwords. LastPass is one of the more popular password managers, and it’s not hard to see why. It’s simple to use, and the browser add-on is well designed and convenient. Lastpass has also gone out of its way to ensure that your browser is supported. Aside from the usual suspects – Chrome, Edge, Firefox, it also supports some of the more niche ones, such as Pale Moon and SeaMonkey. The LastPass Vault is where your passwords are stored. When you land on one a site, LastPass will automatically fill in your login details. Handily, sites and services can be organised into folders, such as work, home and so on. If you have a particularly sensitive site that you log into, say banking for example, you can set up LastPass to ask for your master password to add an extra level of security. A useful feature if you share your computer with others. One small concern with LastPass is that while it’s great that it automatically remembers any new passwords you use when logging into a site, if the connection with the LastPass servers aren’t working, there’s chance the password won’t be stored, and you’ll be left without knowing what it was. Admittedly a rare occurrence, but not great. LastPass pips Dashlane when it comes to the free option by a nose. 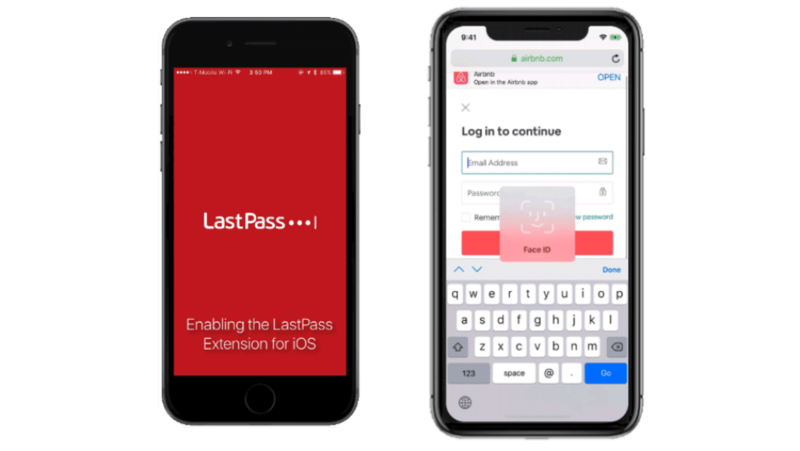 While both offer limited features for their free iteration, LastPass does at least save your password database to the cloud, meaning that should you lose your original device, or upgrade, you can pick up on a new device with all passwords instantly accessible. With Dashlane’s free version, if you lose the device, you lose the passwords. 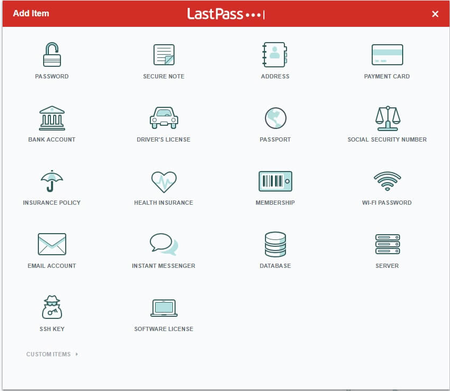 Sign up for LastPass today and grab a great password manager for just $2 per month. Compare the features of LastPass and Dashlane in the table below. We think Dashlane pips Lastpass to the post. Sometimes, you’ll want to update your passwords across various sites, especially if there has been a spate of security breaches that have affected you. In this scenario, Dashlane comes into own, as it’s a simple process to update multiple passwords at once, whereas LastPass requires you to do this one at a time. With the average person in the US having 130 account logins, according to research by Dashlane itself, it’s not hard to see why this could soon get tiresome. The situation where you’ll find this feature most handy is when you’re first setting up your password manager, and you want to change all those old passwords from ‘password1234’ (it’s ok, your secret is safe with us) to something slightly more secure. This is one of the reasons why we rated Dashlane highly for its ease of use when setting up. Pretty much all of your logins will happen within your browser, which is why most password managers put their browser plug-ins front and center. This is the case for LastPass, and it’s a well designed extension that’s easy to access and operate. Dashlane bucks the trend here, and while it’s not a deal breaker by any means, it’s different enough from the day-to-day of other password managers that it’s worth mentioning. The Dashlane program is installed on your PC, and the web app feels like more of an extension of the tool. This means that if you want to make any major changes, or if you run into trouble, you have to revert back to the Dashlane program itself rather than through the more convenient browser and accessible app. Here’s where LastPass scores some points against Dashlane – it’s more convenient for the average user to do everything in browser. Both Dashlane and Lastpass are simple to use, so you shouldn’t run into any issues. However, if you do, you’re going to want to speak to someone. While neither services offer a telephone helpline, the Premium version of Dashlane has one up on LastPass by offering a live chat service, which means that you’ll be able to get your question answered relatively quickly. LastPass support is email based, so there may be something of a wait to get a problem resolved. You’ll pay more for the luxury of chat with Dashlane, but it could be a worthy investment if you’re new to password managers and not feeling confident. Verdict: LastPass or Dashlane – Which is Best? While both Dashlane and LastPass are at the top of their game as password managers, its Dashlane that is the one to go for. It may be a little more expensive, but in terms of the most complete package, Dashlane can’t be beaten. At least not by LastPass. Dashlane is easy to use, and enables you to easily manage your passwords across multiple sites, prompting you to create stronger passwords when needed and even alerting you when a site you use has its security compromised.